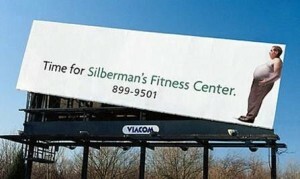 Review the following billboard ad for Silberman’s Fitness Center. The ad is cleverly designed to be both “attention-grabbing” and to convey humor, and most importantly, trigger the target consumer into action and call the fitness center and start working out. 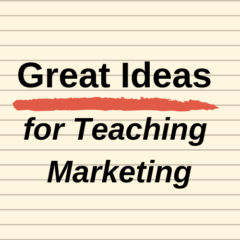 While the intentions are good, answer the questions to assess whether it is a good piece of advertising. Do you think that the billboard ad would have a good “cut-through” and get attention? Why/why not? Do you find the ad humorous? Who is the likely target market in terms of the age group and lifestyle? Thinking about the target market, how do you think that they would react to (or feel about) the ad? As a result of your response to question 4, do you think that the ad would have been successful in attracting first-time customers to the fitness center? How else could the firm had used the billboard space to communicate an effective message that is designed to trigger a consumer need to get fitter and healthier?